The extensive drawing and animation capabilities of Adobe Flash CS6 can be greatly enhanced by the 3D Translation and 3D Rotation tools. You can use each of these tools to rotate and position 2D content in any movie clip instance around or along x, y, and z axes. This 3D Rotation tool can be used on any movie clip instance to rotate and transform the symbol around x, y, and z axes. Place a movie clip instance on a new layer on the Timeline by dragging the clip from the Library panel. 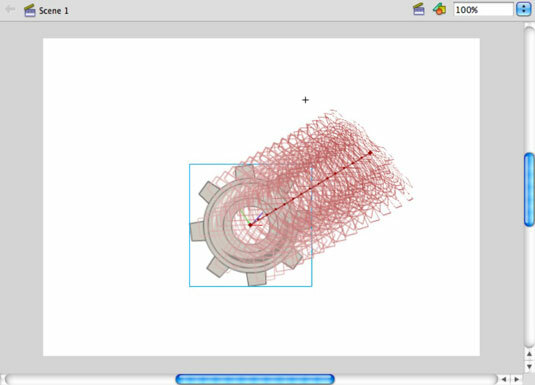 Select the 3D Rotation tool from the Tools panel and click the new movie clip instance to select it. Color-coded circular handles appear, each one corresponding to an axis along which the movie clip can be rotated. To reset all transformations performed with the 3D Rotation tool, select the movie clip and press Ctrl+Shift+Z (Windows) or Command+Shift+Z (Mac). In contrast to the 3D Rotation tool, which rotates movie clips around an axis, the 3D Translation tool slides a movie clip along a specific axis to change its perceived distance and depth relative to other objects on the stage. Using the Selection tool, place a movie clip by dragging it from the Library panel or click to select an existing movie clip instance on the stage. Choose the 3D Translation tool from the Tools panel, which you can find under the 3D Rotation tool. Three guides appear and correspond to the x, y, and z axes. You can slide your movie clip along any of these three guides by clicking and dragging the appropriate guide. 3D Translation and 3D Rotation transformations can be combined on the same movie clip for interesting perspective effects. After you have a feel for how the 3D Rotation and 3D Translation tools transform movie clips, you can incorporate these effects into a motion tween to create stunning effects just as easily as you would with position and transparency. Place a single movie clip instance on a new layer on the Timeline by dragging it from the Library panel. 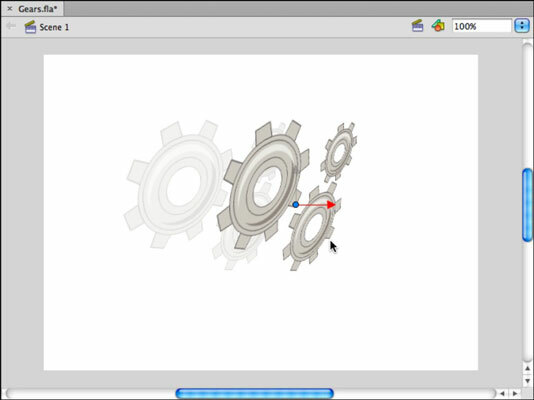 Right-click (Windows) or Control-click (Mac) the first frame of the new layer and choose Create Motion Tween from the contextual menu that appears. A new tween span is created, and the playhead jumps to the end of the span. 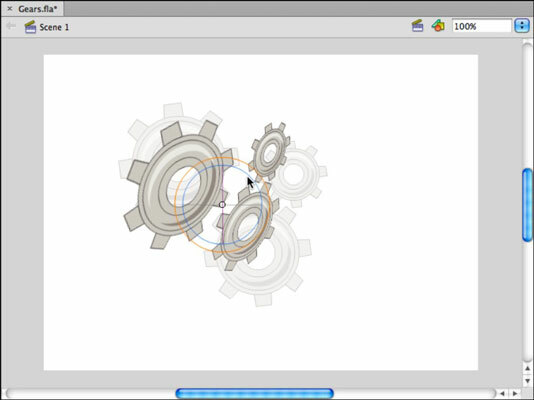 Select the 3D Rotation tool and click the movie clip to make it active; circular handles appear around the instance. Click and drag the axes to rotate the movie clip until you set an angle and a position. Press the Enter or Return key to play back your Timeline and your movie clip tweens from its original 2D position to the 3D settings you applied. Repeat Steps 3 through 5 with the 3D Translation tool to see your movie clip slide in three dimensions.